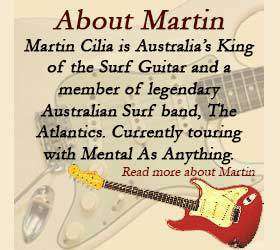 Full gig list with Mental As Anything, Dave Warner, solo gigs and anything else that comes up. Having lived in Oz during the eighties but now residing back in NZ, it was a treat to hear the old classics yesterday. Great gig, awesome. Loved your playing and sound. Looking forward to hearing more of your stuff now I’ve tracked you down. Cheers. Thanks Kate, it was a fun gig and the crowd were great!